Oh Yes, we have Guaidó. Though our attention span is short but thank goodness we now have the internet that is a great reservoir of all our human stories. So here we go, the dateline is 11 June 1994 and we find ourselves at the previously little known Epetedo in Lagos Nigeria. 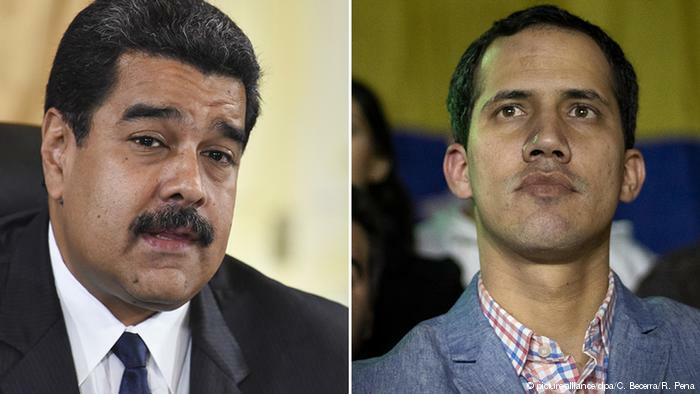 History was about to be made, so Juan Guaidó please pay attention. 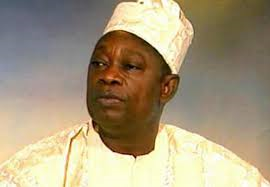 Bashorun M.K.O Abiola would mount the stage that date and do what no one had previously done in the history of Nigeria, declare himself President in his speech that has come to be known as the Epetedo Proclamation and assume office as the democratically elected President of Nigeria. But, let’s backtrack a little for your sake Guaido. Abiola’s journey to his grave all started much earlier but definitely on June 12, 1993. That was the day that Nigerians went to the poll and elected Abiola as President. The military junta of Ibrahim Babangida refused to release the full results and declare Abiola winner. Sounds familiar? I think it does. If you replace the names in the Nigerian debacle with yours and Maduro, you have the current happenstance in Venezuela. The period of one year from the elections to 1994 saw Abiola globetrotting. Just as you are being assured right now, these same governments promised support for Abiola’s government. He was granted audience by the United States of America, the United Kingdom and even at the United Nations he met with Boutros Boutros-Ghali, its Secretary-General. Given these assurances, Abiola grew bold, took a flight back to Nigeria and declared himself President. It is certain that without the assurances, Abiola would not have made the Epe proclamation. But, there was a problem, one that Abiola never considered and obviously one that you may not be considering as well. Nigeria is a major Oil producer, just as Venezuela is. Now, the west has not cured itself of its appetite for oil. The world understood, Abiola did not, that any curtailment in oil supply from Nigeria will lead to a rise in crude oil prices. Just in a similar manner, a curtailment in supply from Venezuela will affect world prices and hence reduce he disposable income of many in the western world. The economics is simply and it meant that the western nations became a dog that can bark loudly but cannot bite. If you disagree, I will like to remind you about the soft gloves with which the United States is handling the brutal murder of Khashoggi where all unrefuted evidence shows the complicity of the Saudi government in his death but the United States has refused to take action! And we know the reason behind this being the turmoil that Saudi’s disruption to world oil supply will cause the United States. So, back to our story, Abiola was detained and killed in detention. Not a single shot was fired by the west nor any noticeable action taken against the government of Abacha by all the nations that had promised support for Abiola. In fact, rumours are rife that Abiola was murdered with the active connivance of the United States as his death was within hours of meeting with a delegation including Susan Rice, the American Ambassador to the UN! If Abiola’s experience is anything to go by, Guaido YOU CAN’T TRUST THE WEST. As your unofficial adviser, please take their words with a pinch of salt except you want to be like Abiola and become the best president Venezuela never had. Am I suggesting that you abandon enforcing the constitutional provisions of Venezuela making you the President of the National Assembly? No, not at all. I am just advising that in all your political calculations, please discount massively any anticipated support from the West, no help will come from these nations.